Avenue One is pre construction condo development by Concord Pacific. 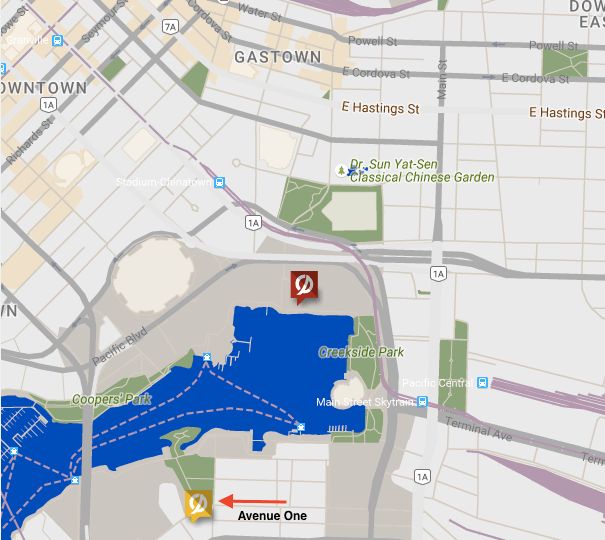 Located in False Creek, just minutes to downtown Vancouver. Avenue One will have park front/water views. The residential building will provide a range of condo units consisting of 139 one bedroom, 96 two bedroom, and 12 lofts/3-bedroom homes. This 17 floor residential building will also have a total of 249 parking stalls, and bicycle lockers. Concord Pacific has teamed up with GBL Architects. The building is slated for completion in 2019. It’s believed prices will range from $550,000-$1,138,000. Deposit structure of 10,10, 5, for a total of 25% down payment is required.